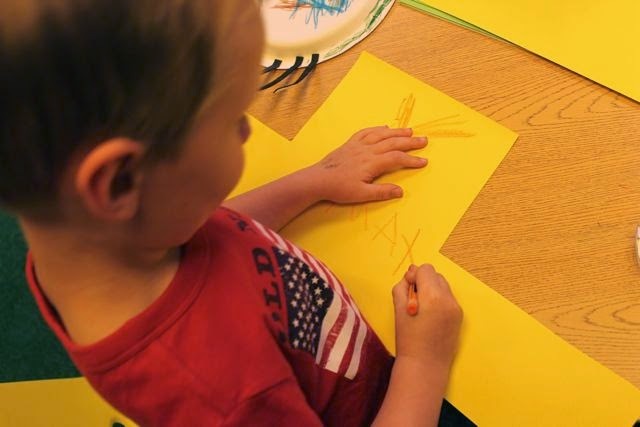 On the How-To-Guide page of this blog I provide suggestions on how to plan author and illustrator birthday celebrations in your home. At the end of the page I state, "I believe reading is a celebration. There are different types of celebrations -- big celebrations, small celebrations, simple celebrations. Simplify or expand your celebration for an author or illustrator depending on your level of interest and time available. The important thing is to celebrate books, authors and illustrators, and time together as a family." For the past four years, my family has been celebrating Maurice Sendak's birthday with "simple celebrations" of reading his books before bedtime throughout the week. I chose not to expand our celebrations, not because of lack of time or interest, but because I was unable to come up with a "big celebration" idea. 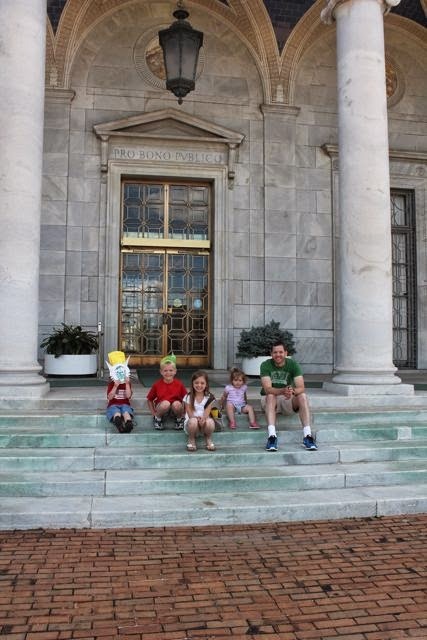 My approach to this blog has always been to read the books and let the experiences happen. 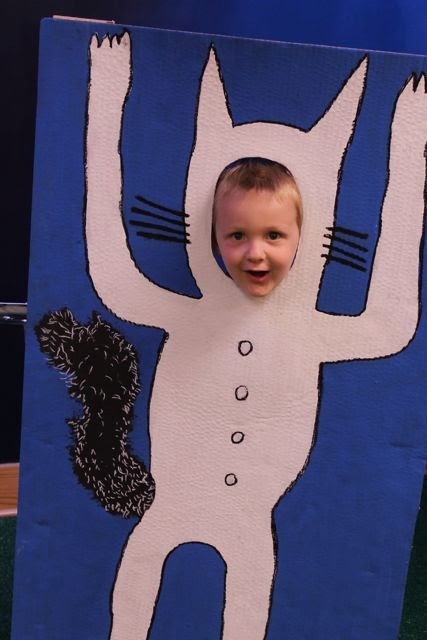 This year our "big celebration" for Maurice Sendak finally happened. 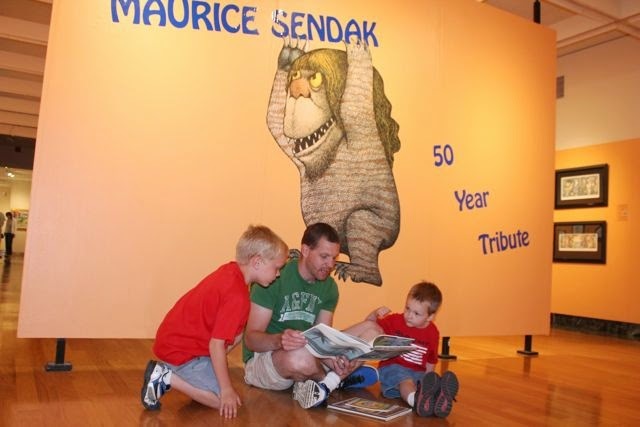 Maurice Sendak is one of the most recognized names in children's literature. His work spanned 60 years with his first book The Wonderful Farm by Marcel Aymé in 1951 and his last Bumble-Ardy in 2011. During his career he published over 100 books. Many of the books he wrote and illustrated himself (Where the Wild Things Are, In The Night Kitchen, and Outside Over There) while other books he created the artwork for authors such as Ruth Krauss (A Hole is to Dig and A Very Special House), Charlotte Zolotow (Mr. Rabbit and the Lovely Present), and Elsa Holmelund Minarik (Little Bear series). Later in his career Sendak combined his love of books and music by focusing much of his attention on theatre and opera. Many of his earlier books were brought to life on stage including Higglety Pigglety Pop! and The Sign on Rosie's Door and he illustrated new books, Swine Lake and Brundibar, which were inspired by theatre. On May 8, 2012, Maurice Sendak passed away after a full life of telling stories that have entertained and enchanted people of all ages. 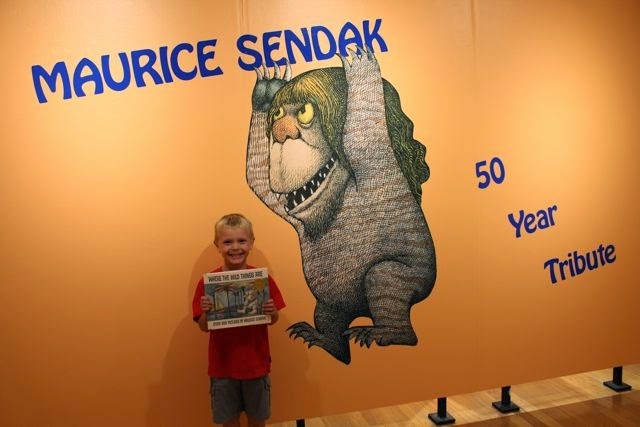 Over the years some of Maurice Sendak's books may have been challenged, questioned, and had their fair share of controversy. However, it would be hard to find one to challenge or question that his books will continue to be enjoyed by generations to come. 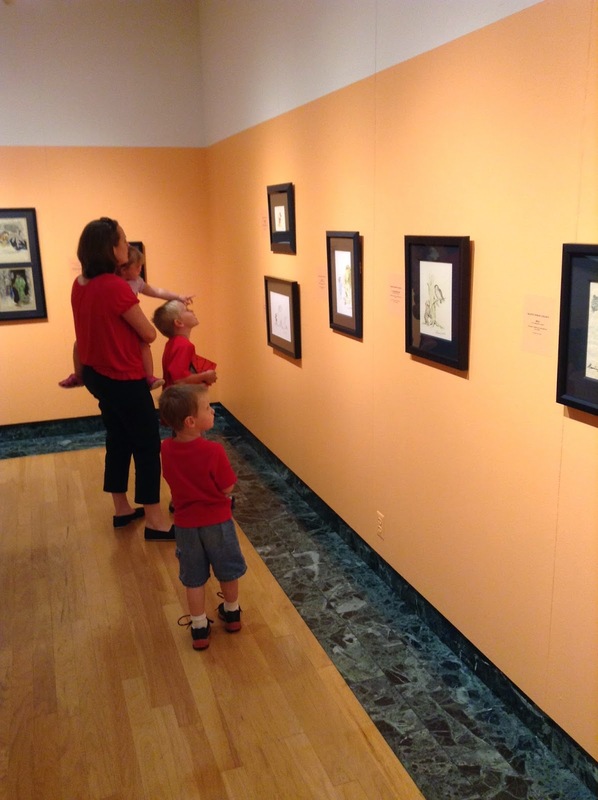 This week, our family headed to Youngstown, Ohio to visit The Butler Institute of American Art to view Maurice Sendak: A 50 Year Tribute. The exhibit opened on May 18, 2014 and is on display until July 6, 2014. 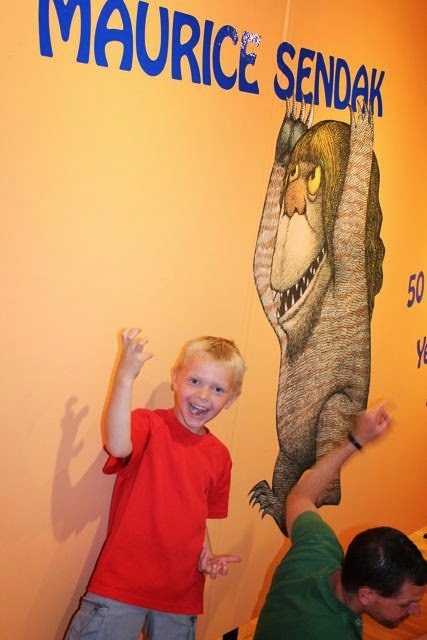 There is free admission to entire museum and exhibit including the interactive Sweeney Children's Gallery that is currently full of activities that are fun for the entire family! 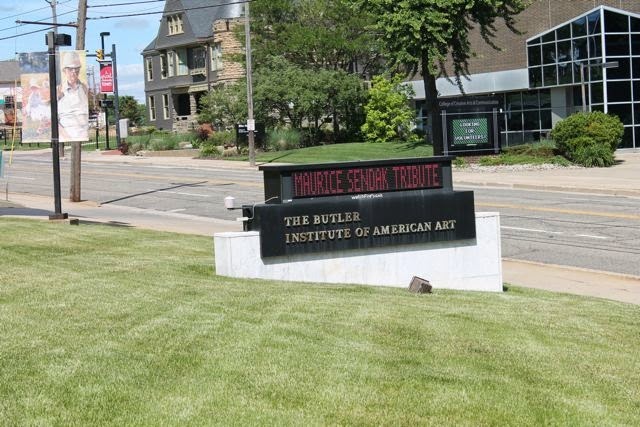 The Butler Institute of American Art is open Tuesday through Saturday from 11am-4pm and Sundays from noon-4pm. It is located on the Youngstown State University campus. Click here for a map. 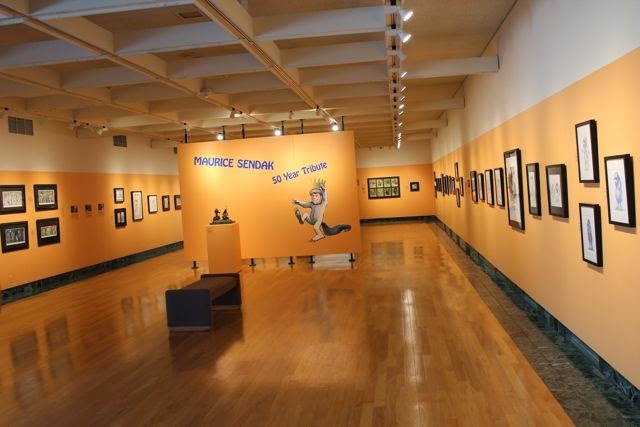 The gallery was full of Maurice Sendak's artwork. 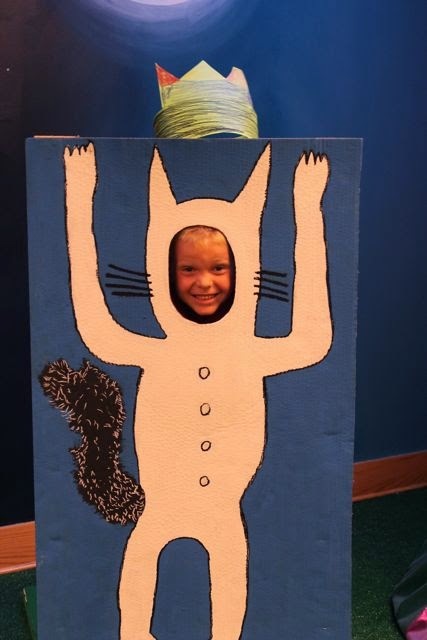 My family loved seeing all the "Wild Thing" art! 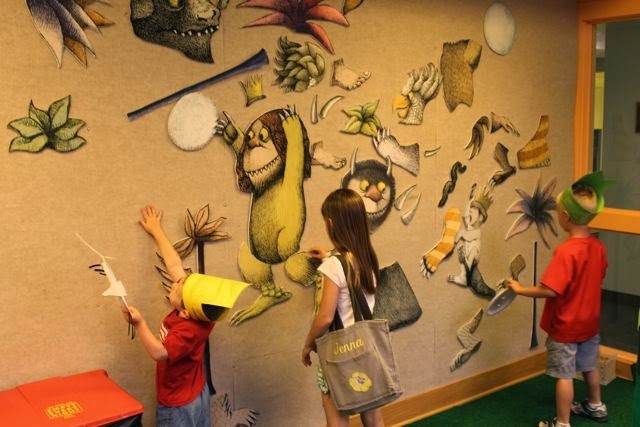 We brought all of books by Maurice Sendak. 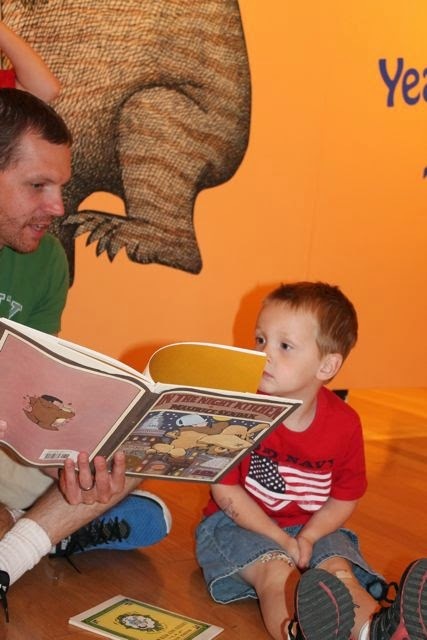 We decided to read a few books right in the gallery. My oldest son chose for me to read Where the Wild Things Are, a book he has grown to love over the years. 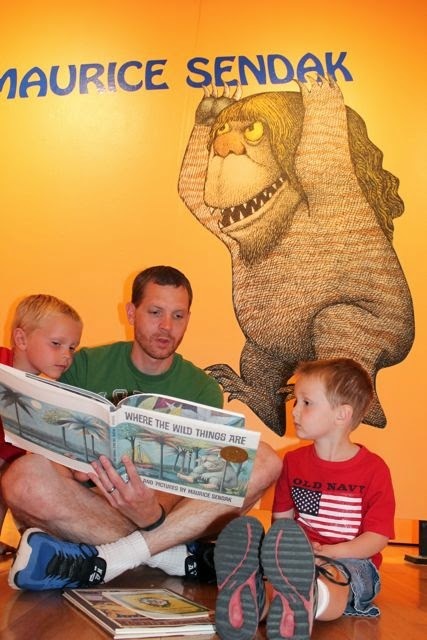 We have read this book many times before, but never quite like this, surrounded by Maurice Sendak's artwork. I love these two boys and their enthusiasm for good books! As I read about Max meeting the wild things my son began acting out the story. He roared a terrible roar, gnashed his terrible teeth, rolled his terrible eyes, and showed his terrible claws. 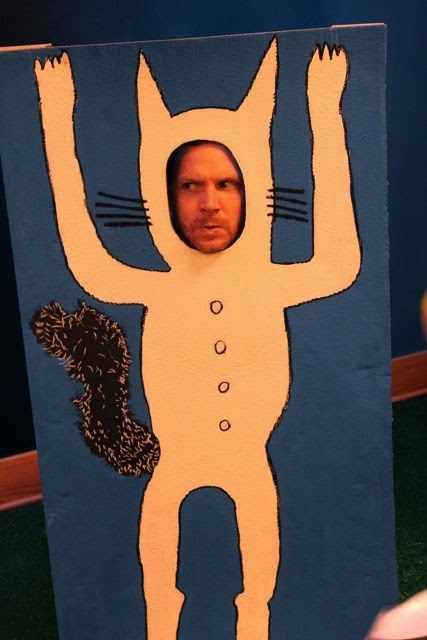 I am sure the security guards had quite a laugh, if they were viewing the security footage, as he acted out the wild rumpus! After reading Chicken Soup with Rice we posed for a photo with Max. Whoa! Watch out for those wild things! 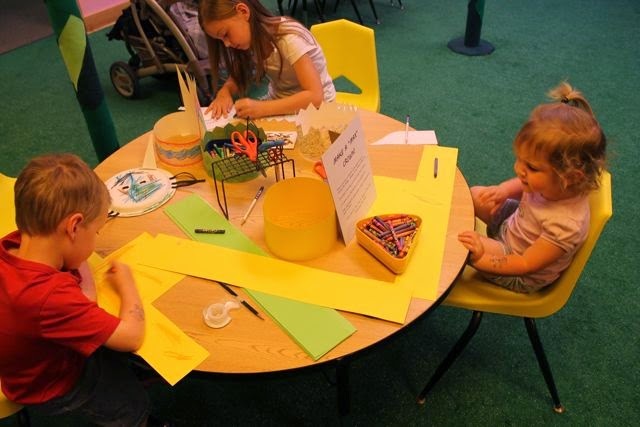 Downstairs in the Sweeney Children's Gallery there were many fun and interactive activities. We found materials to make masks. My son chose to make a Max mask. 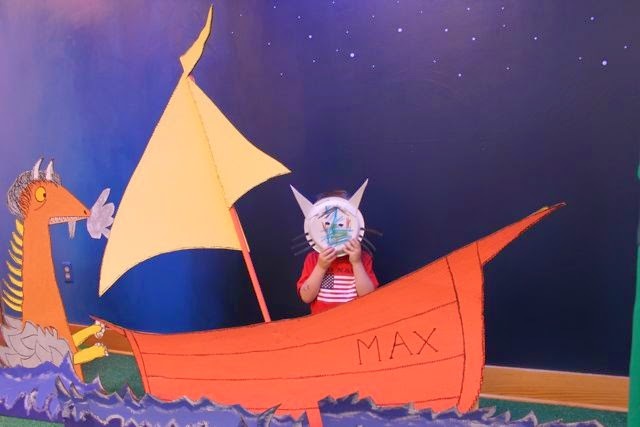 Then, he "sailed off through the night and day and in and out of weeks and almost over a year to where the wild things are." 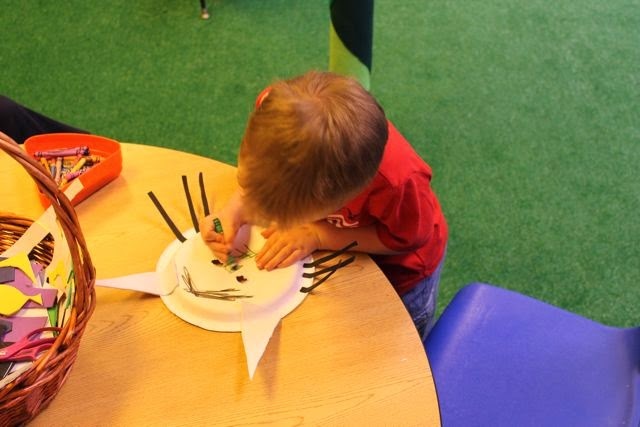 There were materials to make "King of all Wild Things" crowns. My youngest son wrote M-A-X on his crown all by himself. 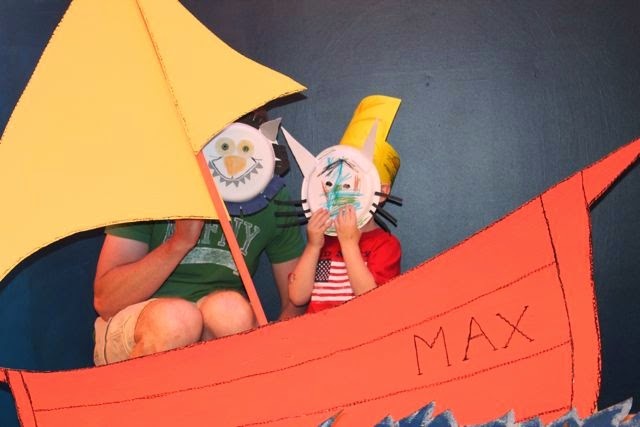 We really enjoyed the Max cut-out! He figured out a way to have the crown on top too! I think this Max should be sent to bed without eating anything. He looks like he is up to no good! 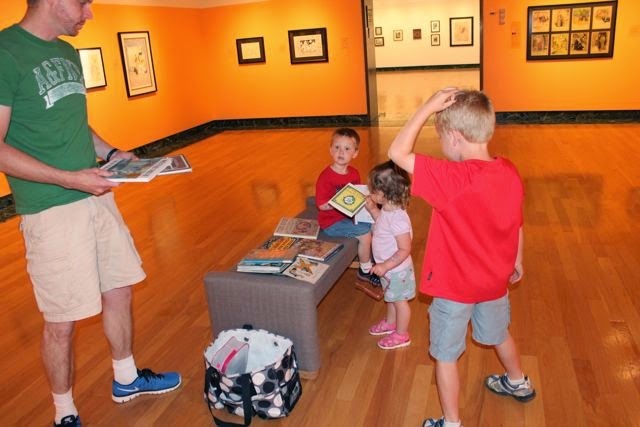 I was so impressed with the Sweeney Children's Gallery. We spent almost an hour enjoying all the activities! How fun is this interactive-velcro wall! 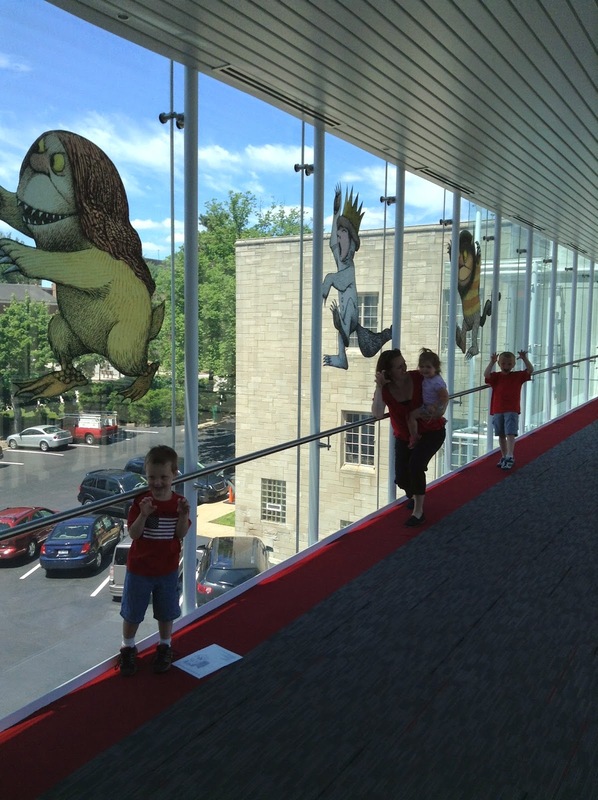 Our "big celebration" for Maurice Sendak was a success. As I reflect on the experience, I am thankful for the years of "simple celebrations". 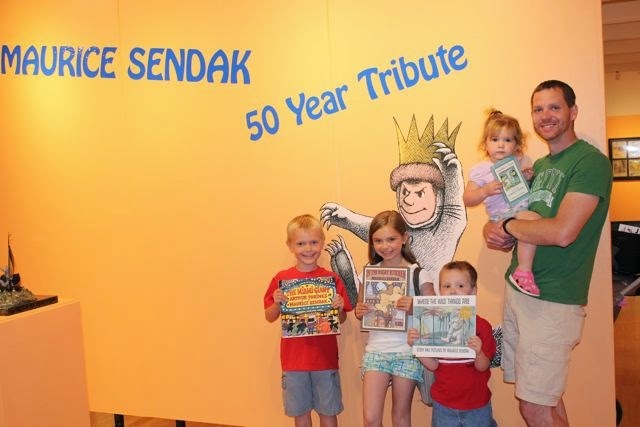 It gave our family an opportunity to develop an appreciation for Maurice Sendak and his books which made this experience that much more memorable.